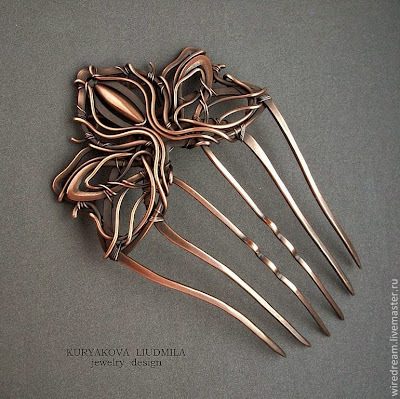 And today I am going to focus on her Wire Haircombs series only. 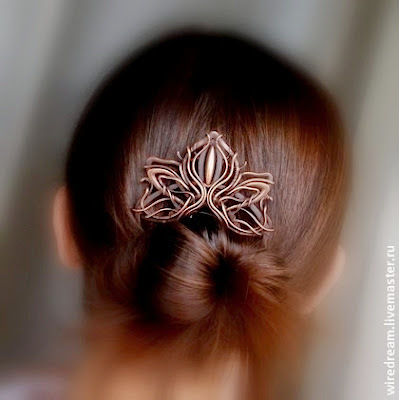 The first featured handmade wire jewelry haircomb in this blog post is Copper Crest Lily. 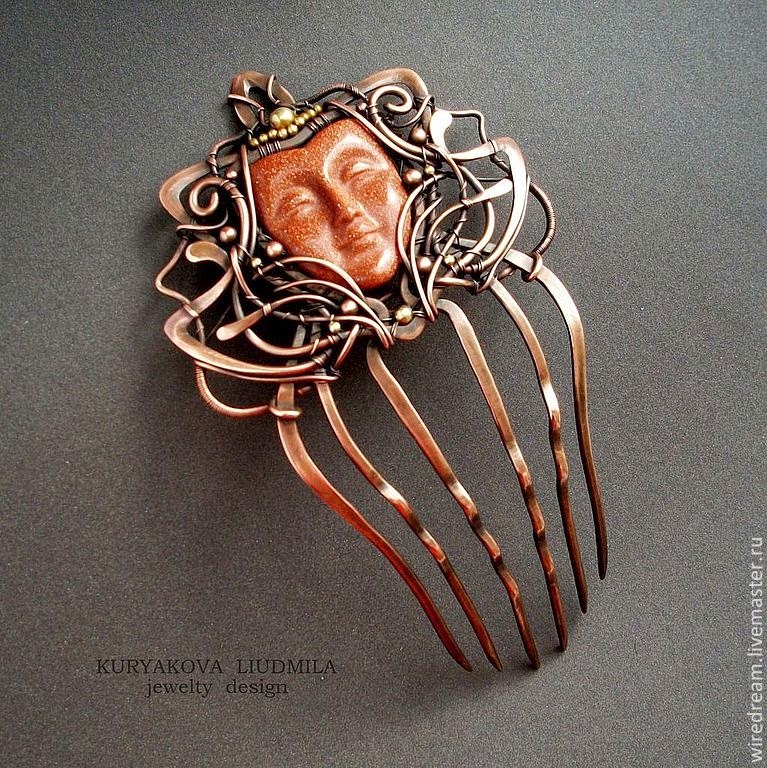 This hair comb has been SOLD and cannot be reproduced. 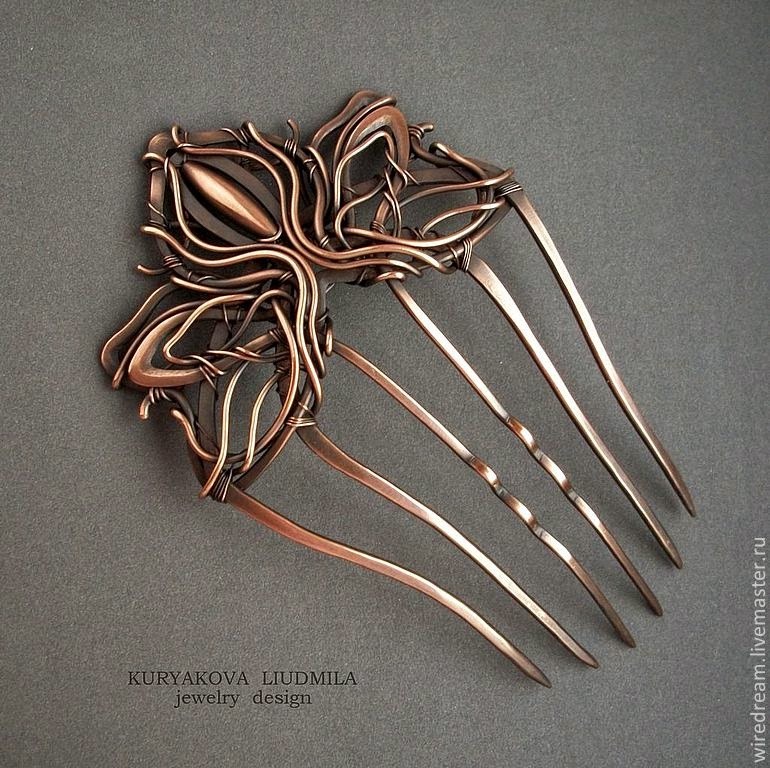 Fully handmade with copper using cold forging technique. 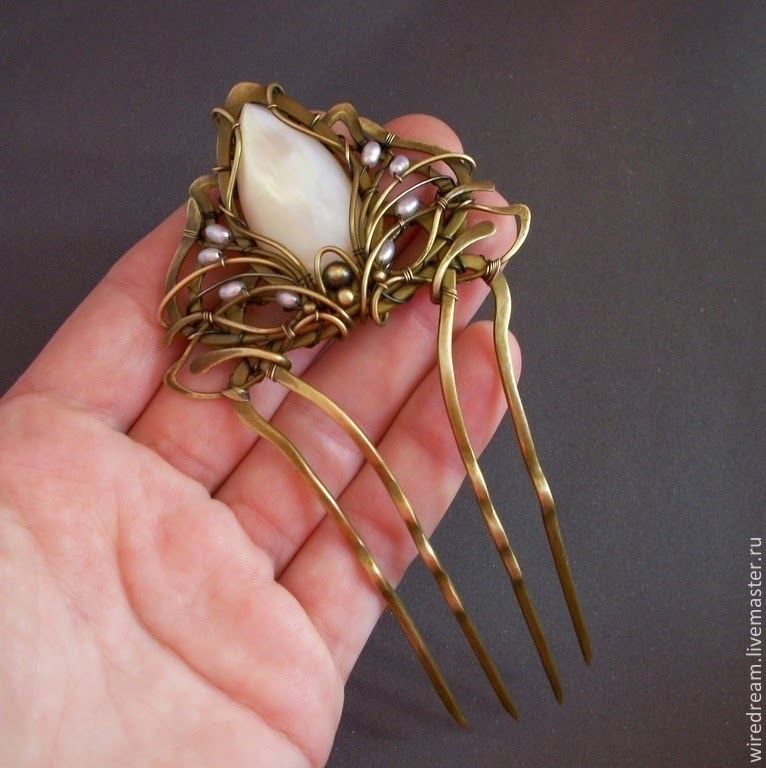 This hair comb has been SOLD and cannot be reproduced. 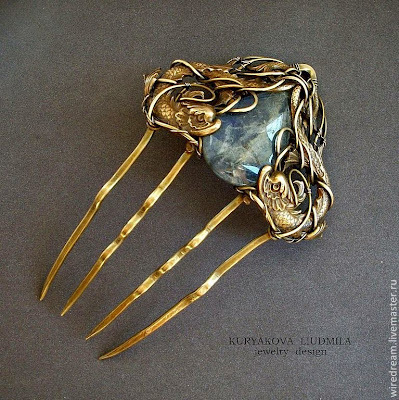 Fully handmade with brass featuring labradorite using cold forging technique. Finishing: Patina oxidation, hand polished. This hair comb has been SOLD and cannot be reproduced. 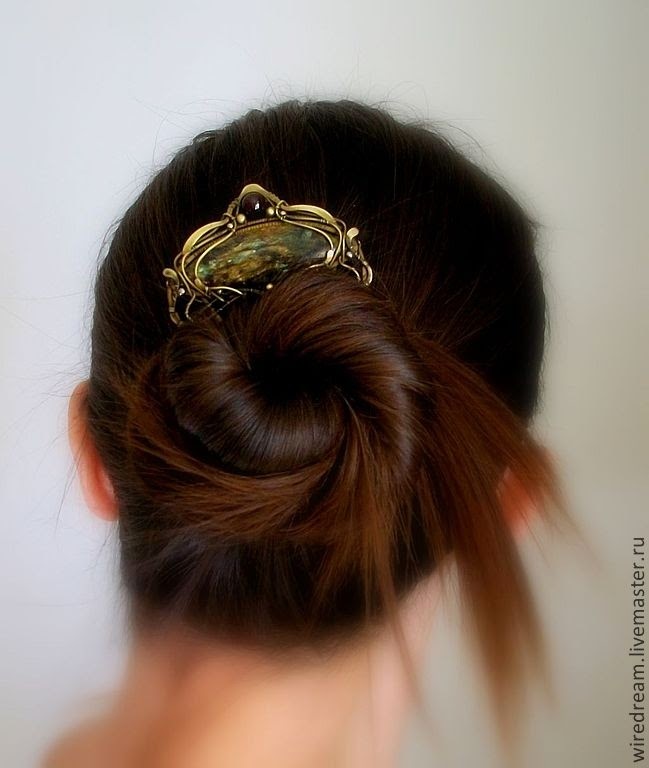 Fully handmade with brass featuring fuchsia and natural garnets using cold forging technique. Lightweight haircomb, suitable for thin hair wearer. 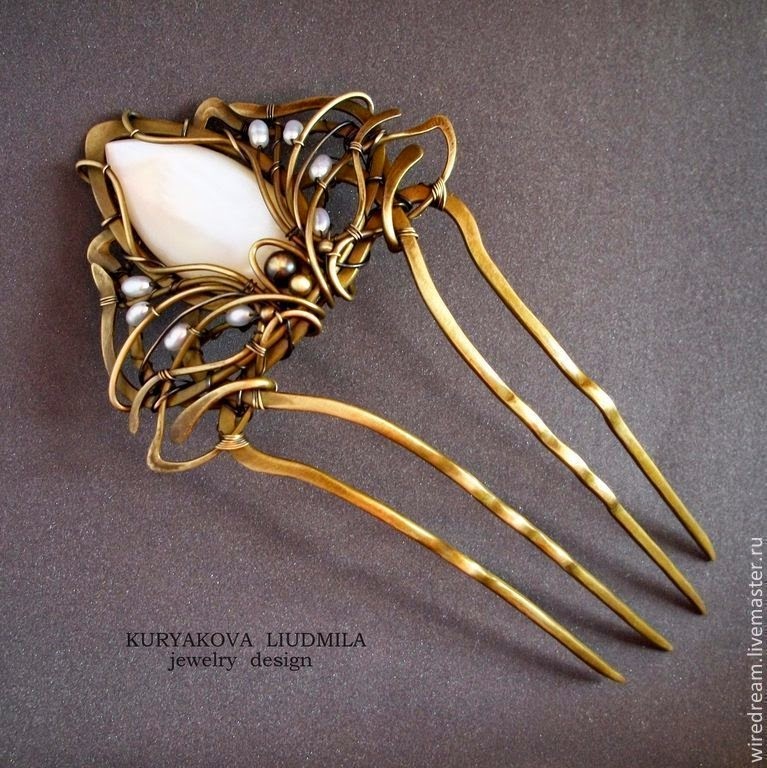 This hair comb has been SOLD and cannot be reproduced. Fully handmade with brass adorned with freshwater pearls using cold forging technique. 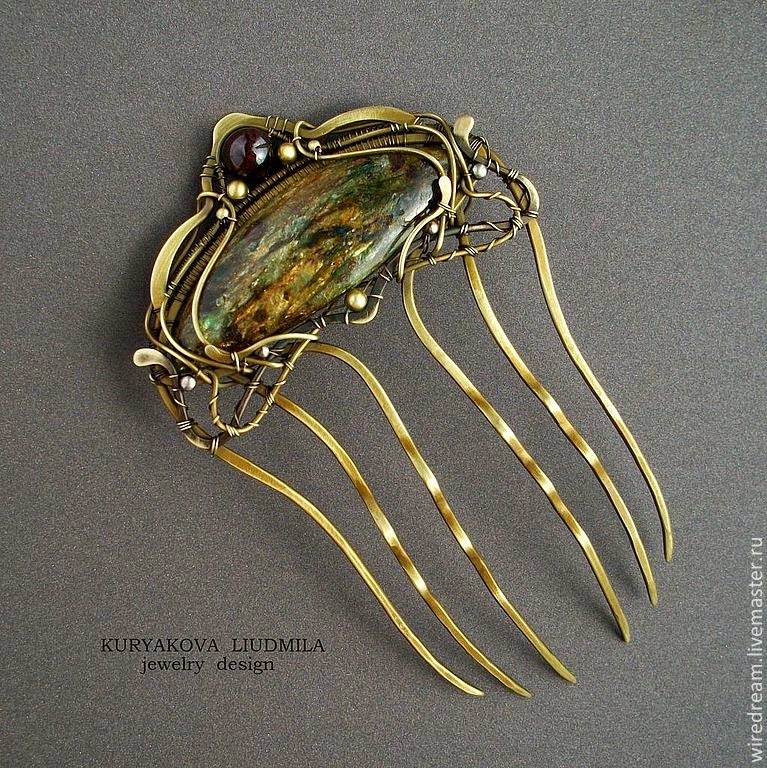 Finishing: Patina oxidation (darkening), hand polished. 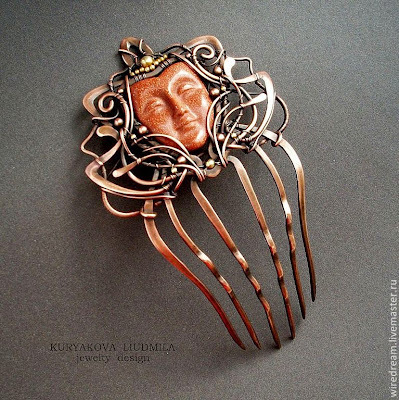 This hair comb has been SOLD and cannot be reproduced. Fully handmade with copper, adorned with some copper beads, ridge with an insert of glass Goldstone using cold forging technique. 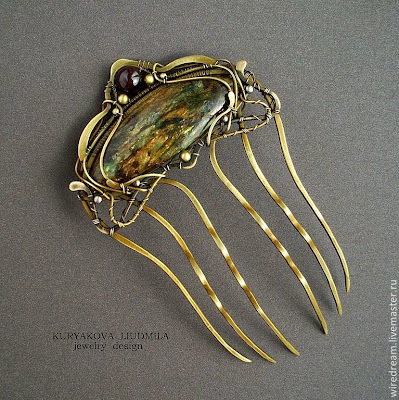 So far these are the wire jewelry haircombs done by Liudmila I could find, I am sure there are more, most of them were made with copper or brass, I'd personally wish to see more of them in silver. 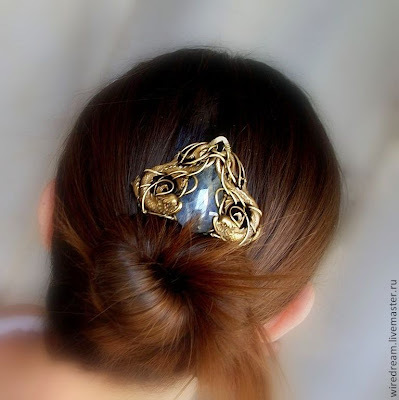 Oh and I thought titanium might be a good choice too - sturdy, lightweight and will not tarnish, then again, I have never really made any hair accessories with precious metal myself so until then, I shall continue to study. 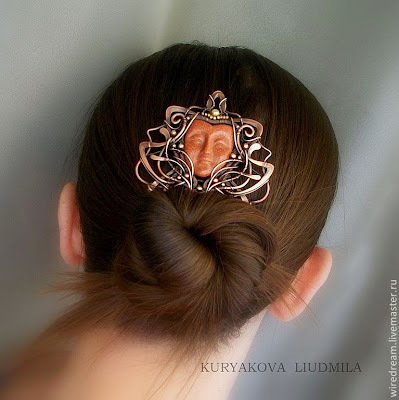 Thank you, miss Kuryakova Liudmila, I truly enjoyed viewing your beautiful creations.